In the back of the pantry, I found a half eaten bag of already popped popcorn from last week. It was stale, but instead of throwing it out I decided to blitz it up to make breadcrumbs. 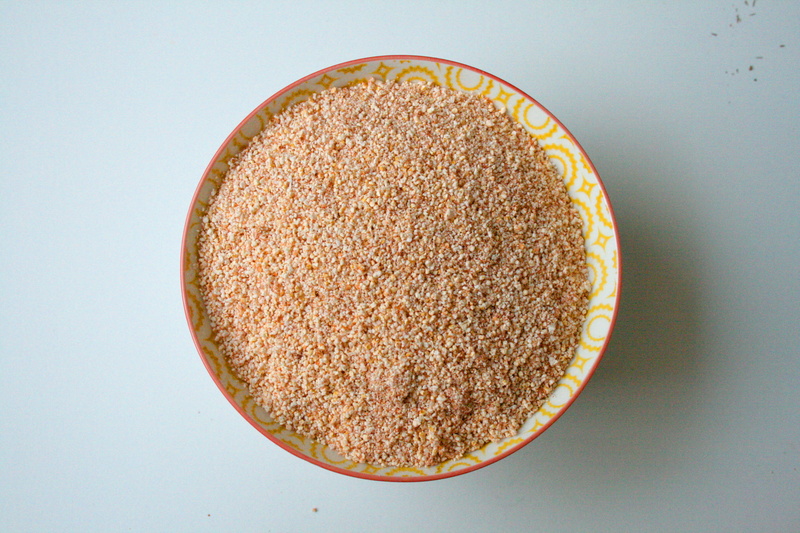 This mix makes a great coating for chicken, fish, a filler for rissoles or patties. Simply use to replace bread crumbs in any of your favourite recipes. Throw both ingredients into a blender and pulse until mixture resembles fine bread crumbs. If you use unsalted popcorn, add salt to taste once you have blended the popcorn if you wish. Normally, breadcrumbs are made from processed white bread with very little fibre. 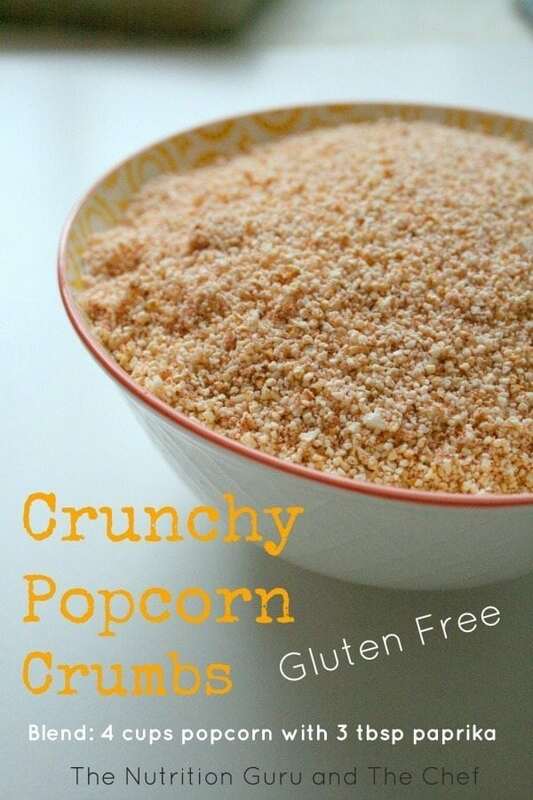 These crumbs are not only good for people who may be intolerant to gluten, but a fabulous way to add fibre to any meal as popcorn is packed full of fibre.